Ken Noda | The Chamber Music Society of Lincoln Center. 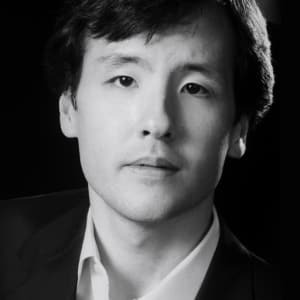 Ken Noda is Musical Advisor to the Lindemann Young Artist Development Program at the Metropolitan Opera where he coaches young singers and collaborative pianists. Born in New York City to Japanese parents in October 1962, he studied with Daniel Barenboim and performed as soloist with such orchestras as the Berlin, Vienna, New York, Israel, and Los Angeles Philharmonics; the London, Boston, Chicago, San Francisco, Montreal, Toronto, and National Symphonies; the Cleveland Orchestra, Orchestre de Paris, and Philharmonia Orchestra of London, under such conductors as Abbado, Barenboim, Chailly, Kubelik, Levine, Mehta, Ozawa, and Previn. He has also collaborated as chamber musician with James Levine (at two pianos), Itzhak Perlman, Pinchas Zukerman, Nigel Kennedy, and the Emerson Quartet; and as accompanist to Kathleen Battle, Hildegard Behrens, Maria Ewing, Aprile Millo, Kurt Moll, James Morris, Jessye Norman, Matthew Polenzani, Dawn Upshaw, and Deborah Voigt. He is closely associated with the Marlboro Music Festival and taught at the Renata Scotto Opera Academy at the invitation of Miss Scotto. Since 2009, he has been a regular guest coach and performer for “The Song Continues” at Carnegie Hall at the invitation of Marilyn Horne. From 1991 to 2017, he was Musical Assistant at the Metropolitan Opera to former Music Director James Levine. In July 2019, he will retire from his full-time position at the Met, continuing to guest coach for the Met/Lindemann program under the title of Honorary Teacher.